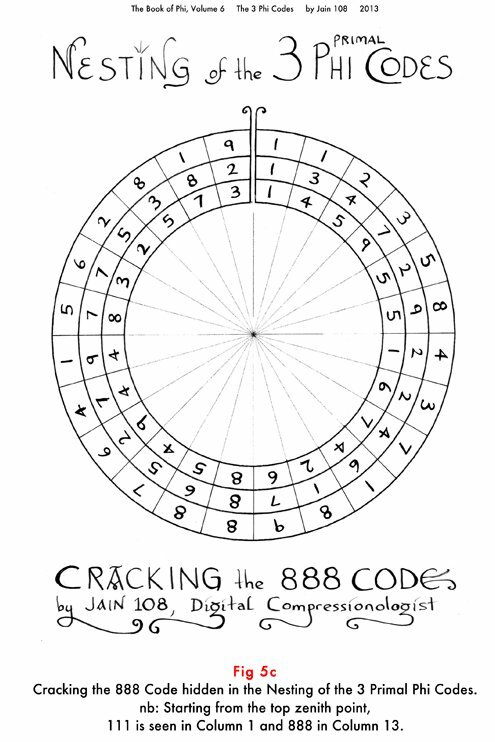 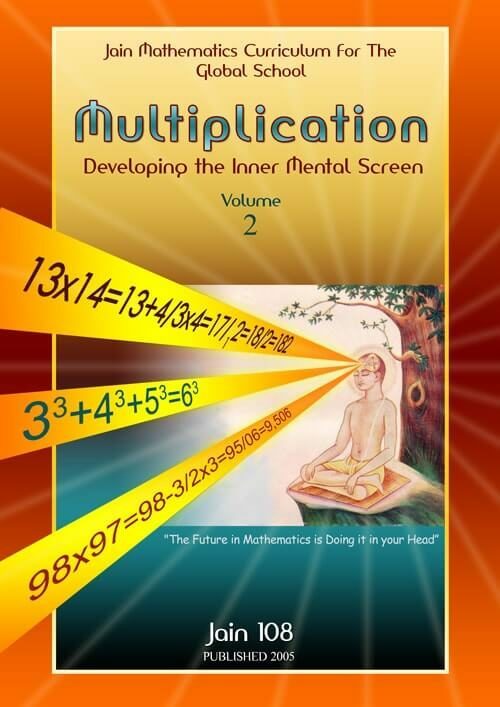 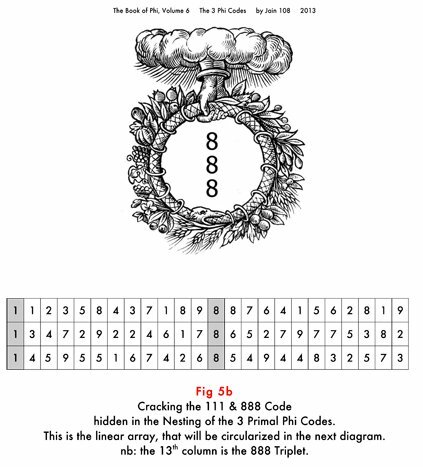 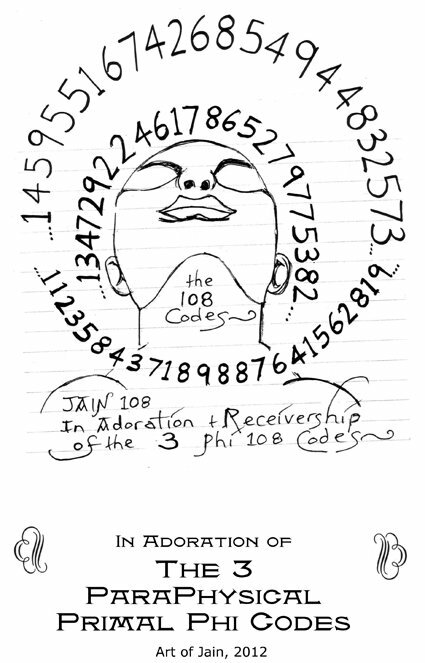 ArcAngelic Names of God & Cracking the 888 Code. 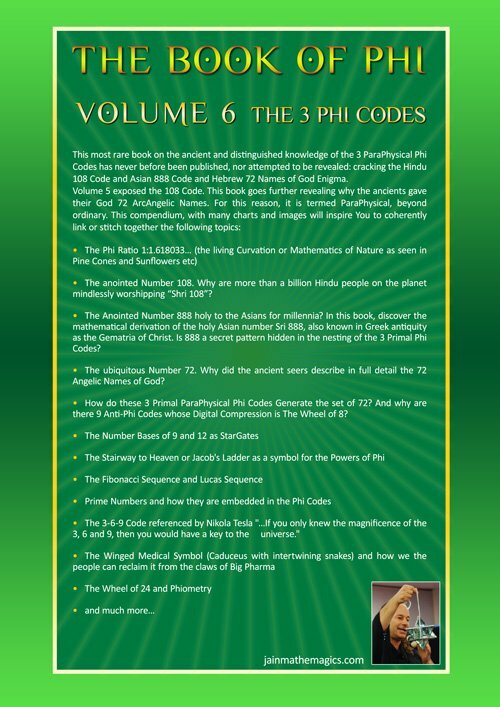 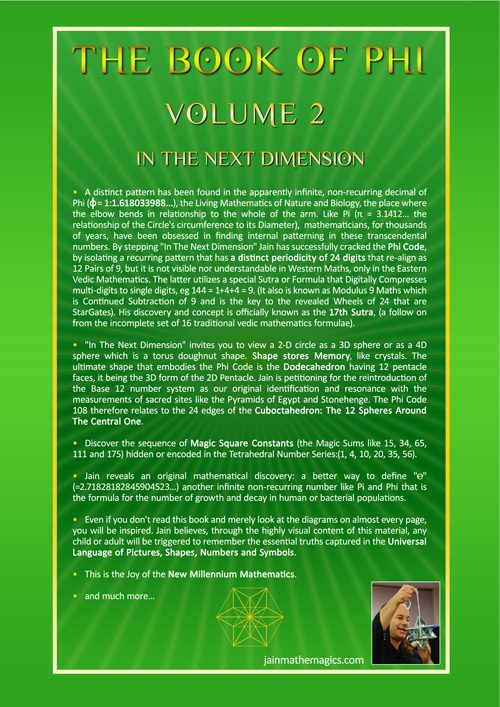 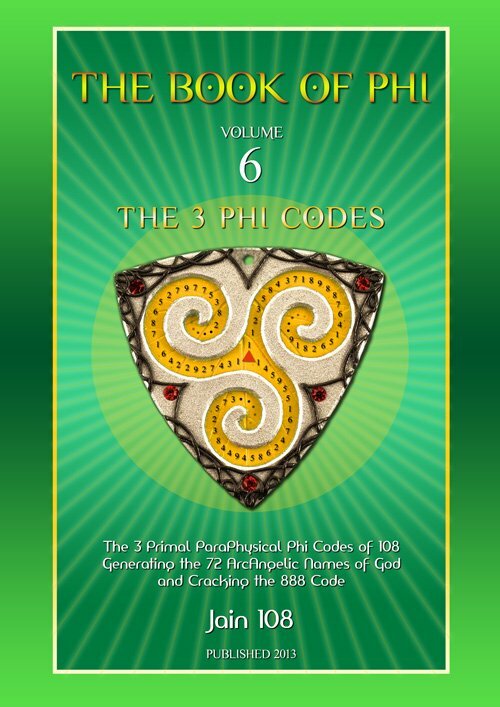 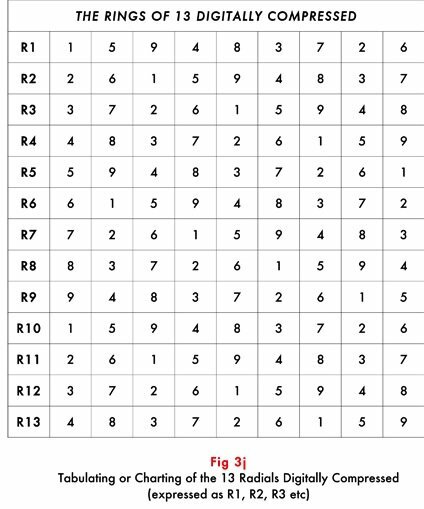 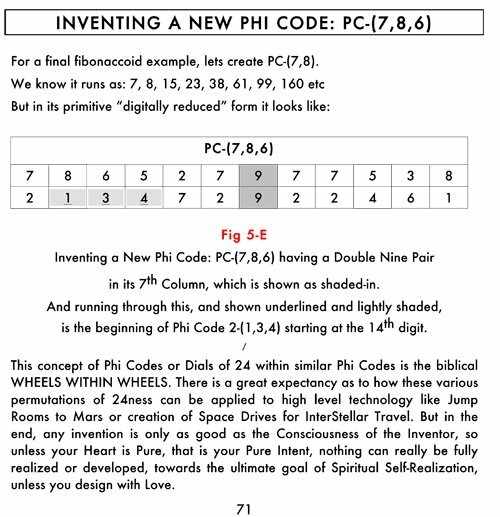 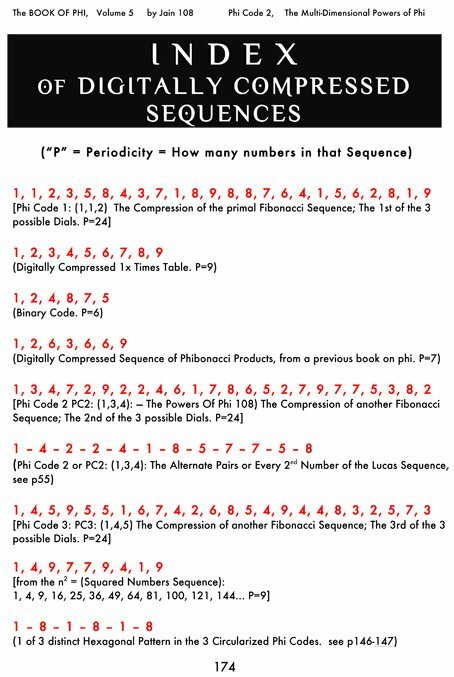 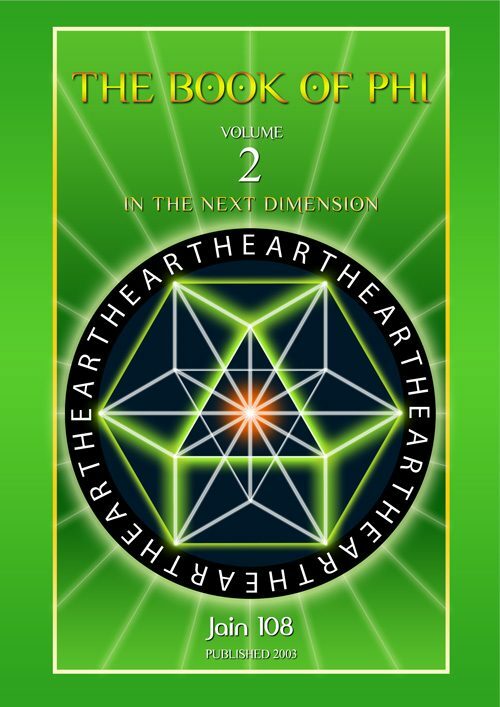 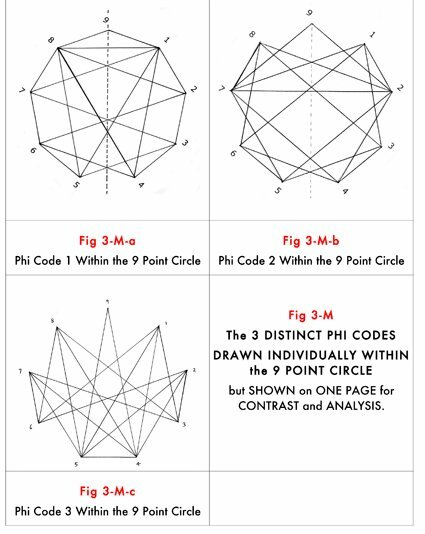 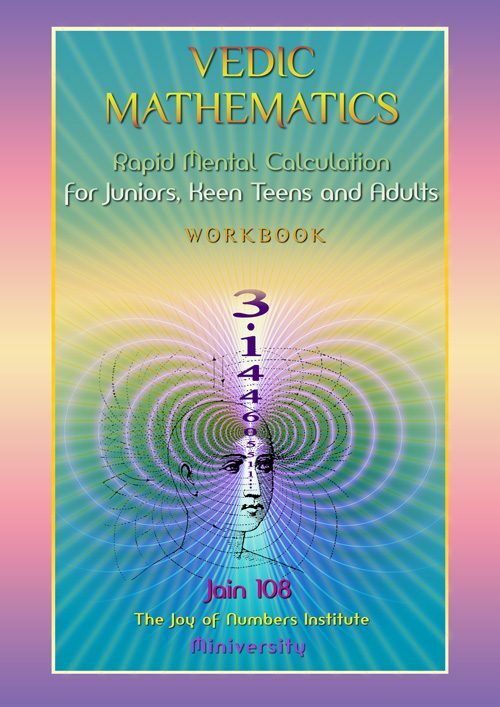 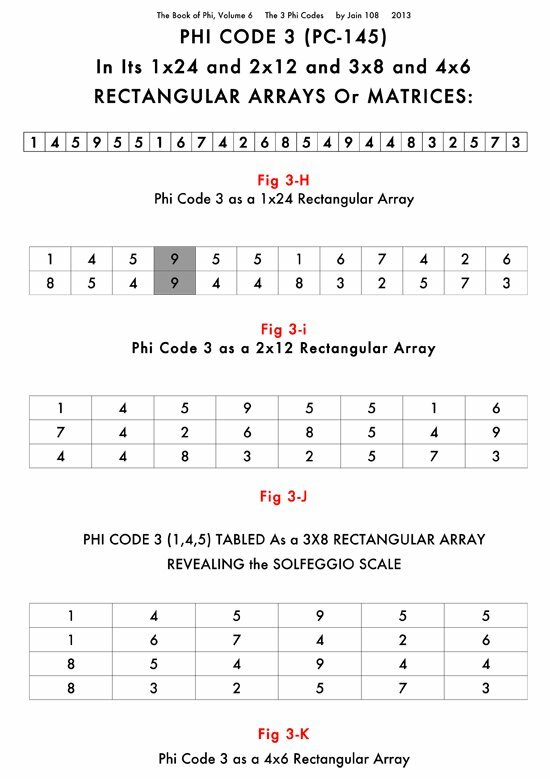 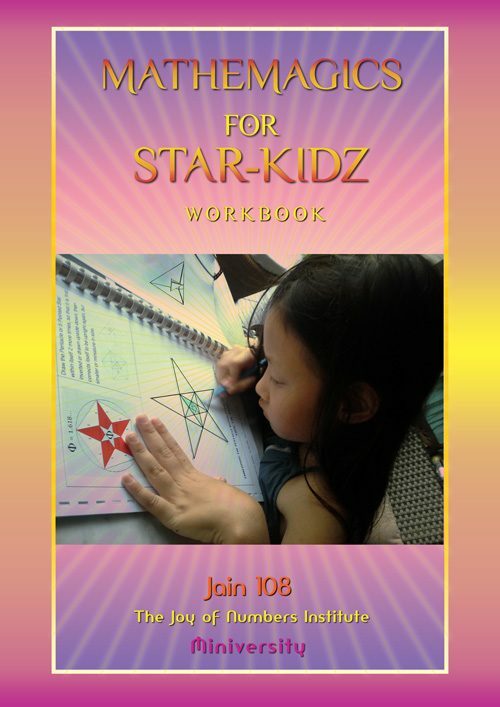 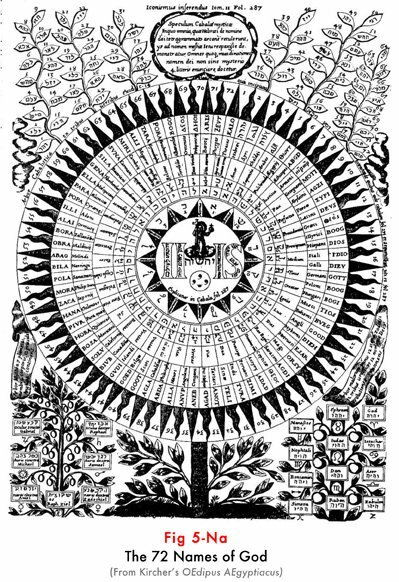 3 – Chart of the 72 distinct Phi Codes, perhaps the most important diagram in this book. 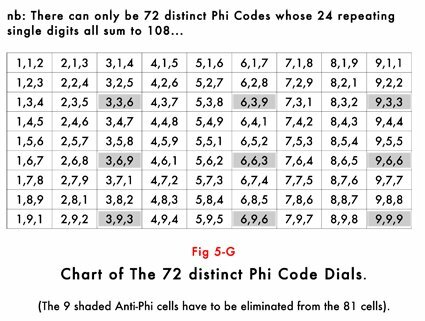 The 9 shaded cells are the 9 Anti-Phi Codes. 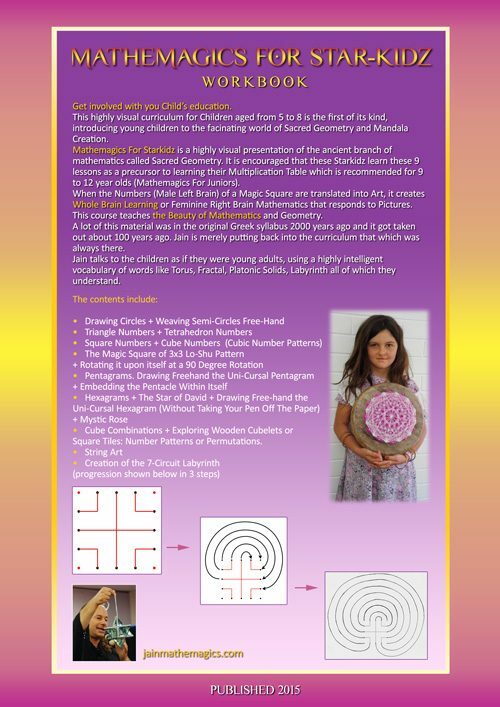 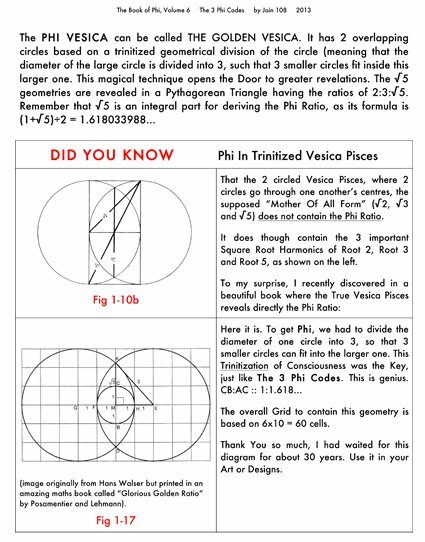 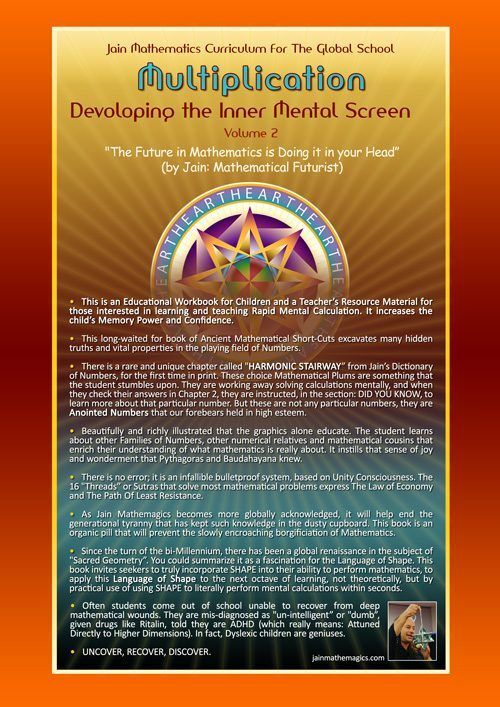 The Phi Vesica is a Grand Secret, revealed here for the first time. 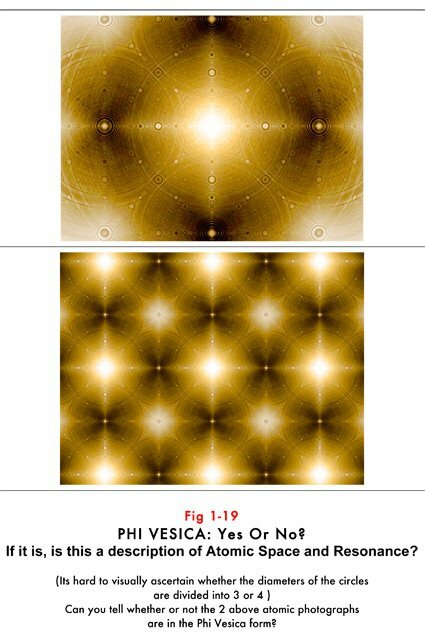 This is the Trinitization of the Circle that extrudes Phi Ratios. 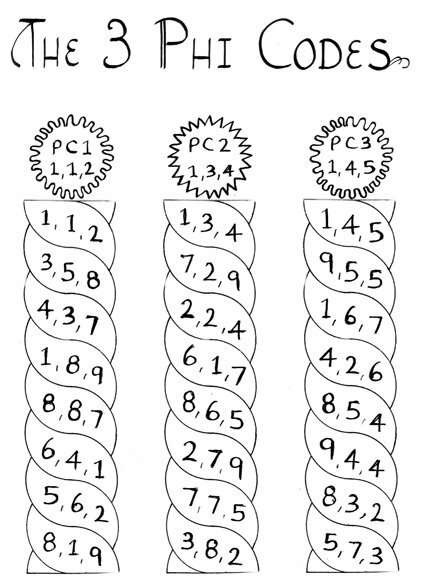 …………………………………………………………………………………….